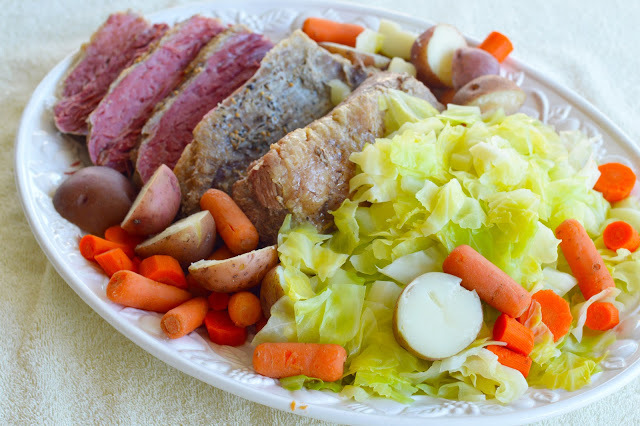 If you are looking to make some easy delicious Corned Beef & Cabbage you have come to the right place! Every year around this time (St. Patrick's Day) we like to whip some of this up and it is a family favorite! And honestly it is so easy, how could I not make it? So if you have never made it before, don't be intimidated--it is super simple and your family will love you for it. 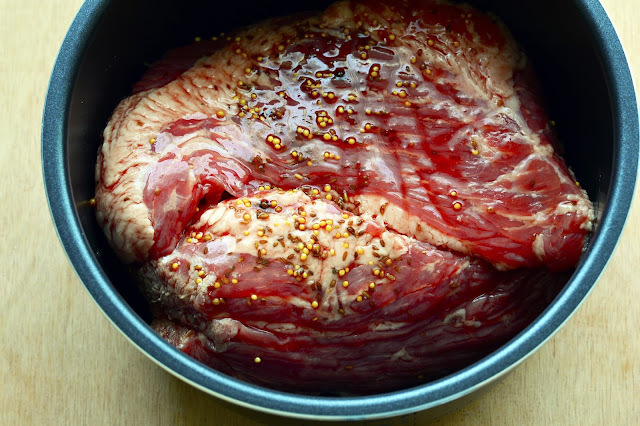 Add all the above ingredients in a slow cooker for about 5-7 hours on high along with the seasoning packet it comes with and it comes out simply amazing and the meat literally falls apart. You can also add potatoes, carrots and a box of beef broth for more taste! Sometimes we eat it with a side of brown rice or mashed potatoes. When we have this for St. Patrick's Day we might also have it along with some Irish soda bread and butter and make sure to have a green drink available (yes, I know it's not healthy, but it's only once a year). They also get a green dessert like jello, key lime pie. or green cupcakes. The kiddos like to wear green too and earlier in the day I will print out some printables, word searches, etc. and things for them to do. 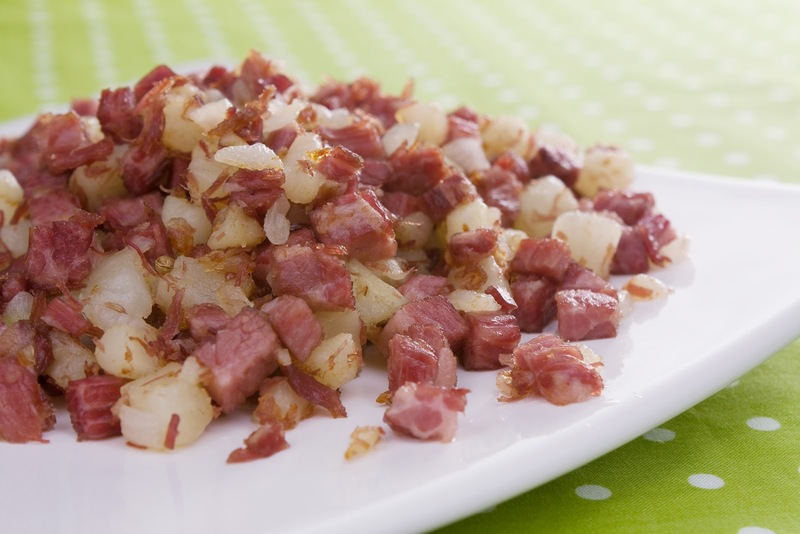 If you have leftovers (I can't remember the last time we have) you could make a corned beef hash like the one pictured below for the next day. This looks so good I think I can actually smell it through my computer! I also think this Corned Beef and Cabbage Soup is worth a try! You could also make reuben sandwiches or do like a local pizzeria does in our neighborhood and make corned beef pizza! 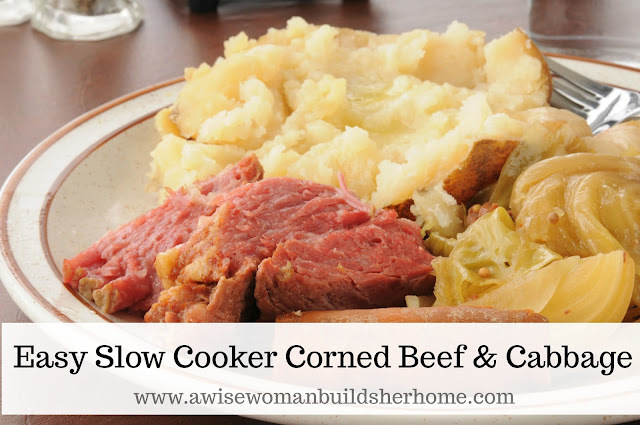 Every year we make the corned beef in TWO crockpots because our family is large, but you could also use an Instant Pot and it would come out just as good. How do you like to cook your corned beef? I always cook mine in the crockpot with cabbage, onion, potatoes carrots and a turnip. 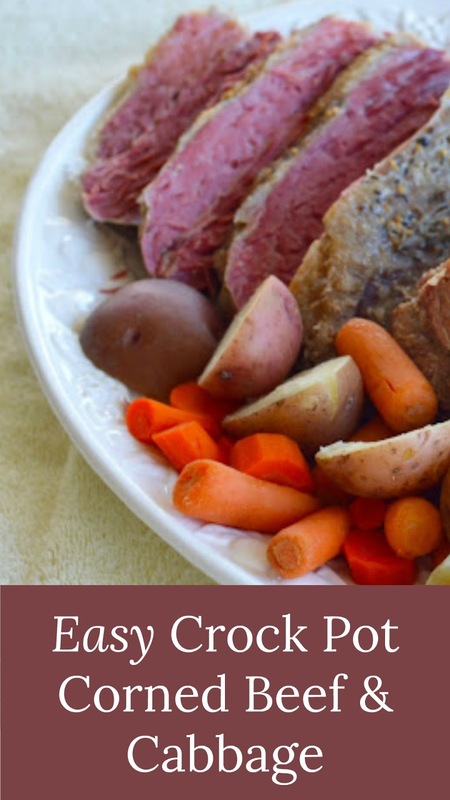 I grew up in Maine and we always called this a New England boiled dinner. BTW I am going to have to give the cornbeef and cabbage soup, sounds yummy!